This is an exclusive lodge with accommodation for just 24 guests. It’s ideally situated for watching wildlife in and around the Savuti Channel and Marsh. This is an exclusive lodge with accommodation for just 24 guests. It’s ideally situated for watching wildlife in and around the Savuti Channel and Marsh. The main lodge is an attractive 2-storey thatch and timber building. At night the lodge is heated by the large open fire. Meals are served in the dining room and out on the terrace, surrounded by the sights and sounds of nature. Most days at Savute Safari Lodge will culminate with a convivial nightcap around the glowing campfire before you retire to your chalet for a good night’s sleep. Activities revolve around early morning and late afternoon game drives, often spending time in Savuti Marsh which has particularly high concentrations of game. Twice a year, from November to December and March to April, the second largest zebra migration passes through this region, pursued by predators, adding extra excitement to game drives. You’ll have the chance to visit the San rock paintings at Gubatsa Hills for a fascinating insight into the human history of the area. Since Savute Safari Lodge is in a national Park (Savuti is part of Chobe National Park) this is a public area, so it can get busy, and there are no extra activities allowed such as walks or night drives. However the guides here are great and they work hard to give you the best possible African safari experience meeting as few other visitors as possible. You’ll be wonderfully comfy in your chalet. The open plan bedroom-lounge has a high thatched ceiling and is decorated in soothing, muted tones. It’s equipped with tea and coffee maker, reading lights, fans and charging points. The bathroom’s modern fixtures include a large shower cubicle, vanity unit with a hand basin, and a flush toilet. You’ll find a range of toiletries and fluffy bathrobes waiting for you. To the front of the chalet sliding glass doors lead out to the wide deck. This is just the place to sit and contemplate your little slice of Africa, watching elephants bathing and playing in the water. Finally, a word about the staff. 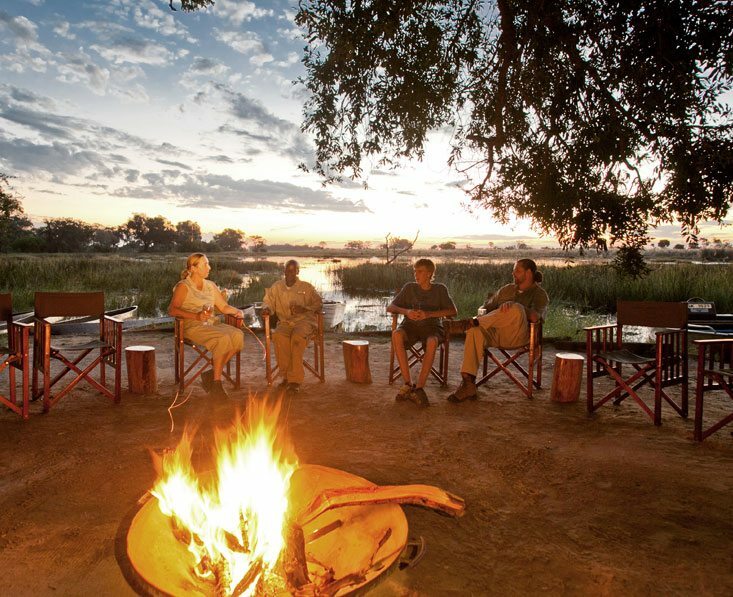 Throughout Botswana you will find great people and welcoming staff, but the crew at the Desert & Delta camps such as Savute Safari Lodge take some beating and they make a real difference to your safari experience. 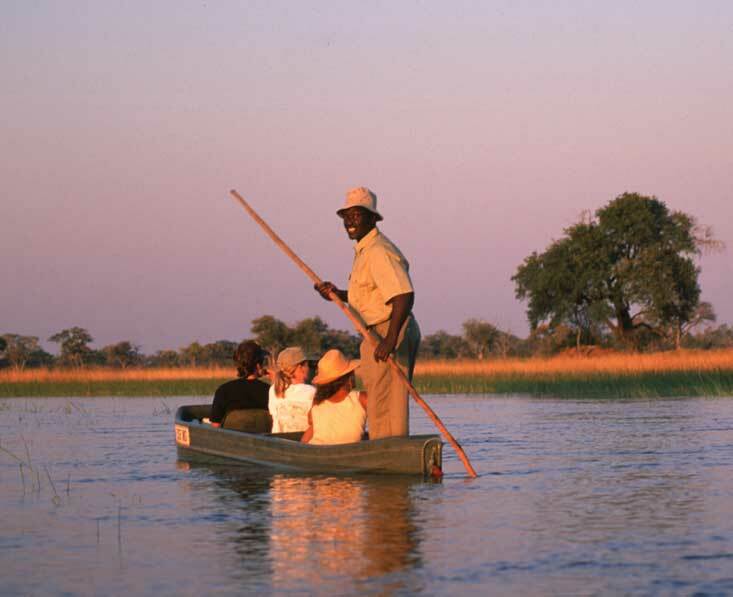 The trip captures the essence of Botswana; the Okavango Delta and Chobe plus the mighty Victoria Falls. This adventure covers the best bits of Botswana, staying in remote locations and lovely camps. Children aged 6 years and older are welcome. Families with children aged between 6 and 11 will need to book private safari activities. One child under 12 can share a room with up to 2 adults. A family with 2 children under 12 will need to book 2 rooms. Suites are spacious, with an open plan bedroom-lounge and two sets of sliding glass doors opening into the private deck overlooking Savuti Channel.